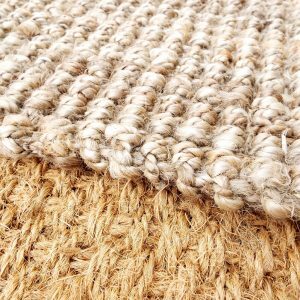 For that extra touch of luxury these beautiful 100% natural hand spun and hand loomed woven Jute rugs have warm earth tones to compliment any interior. 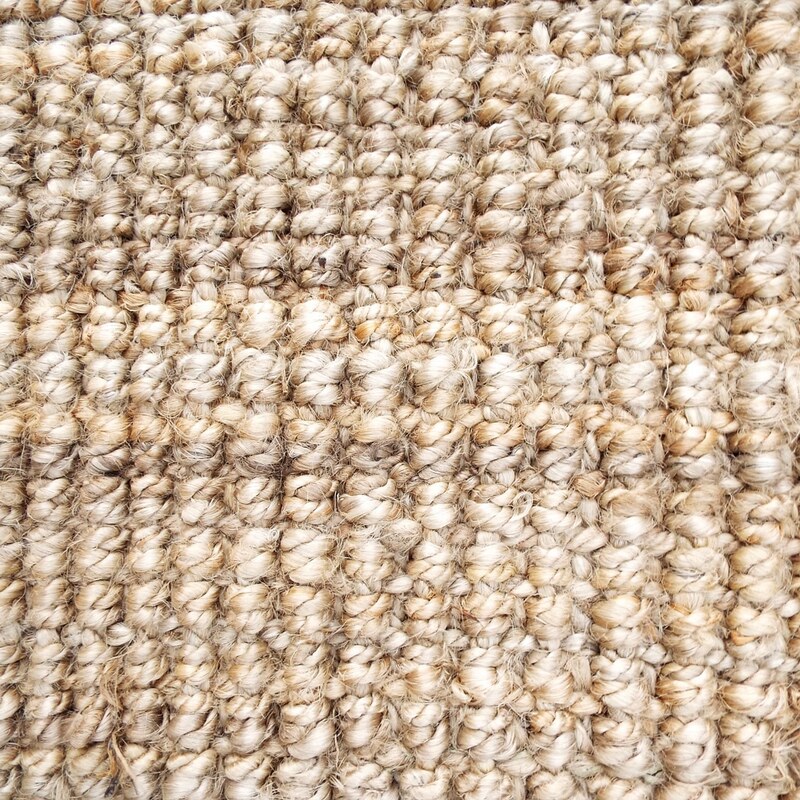 They are a perfect choice as bed side rugs with super soft textures to greet any bare foot! 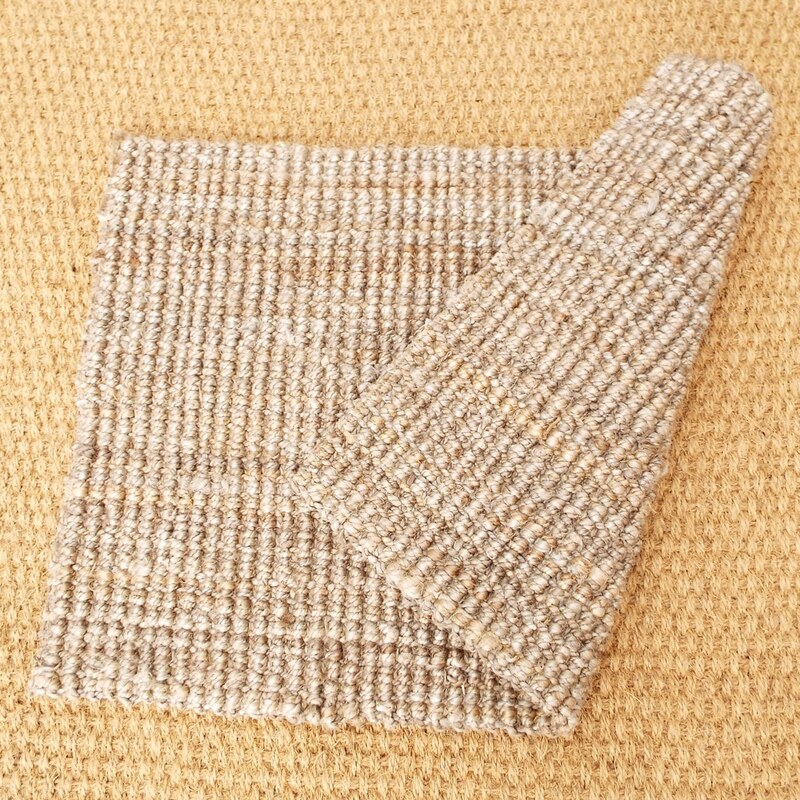 Place the mats around your home to protect your floors and add natural colours to your interior. Great to place in any room of your house, an ideal rug for heavy traffic areas. 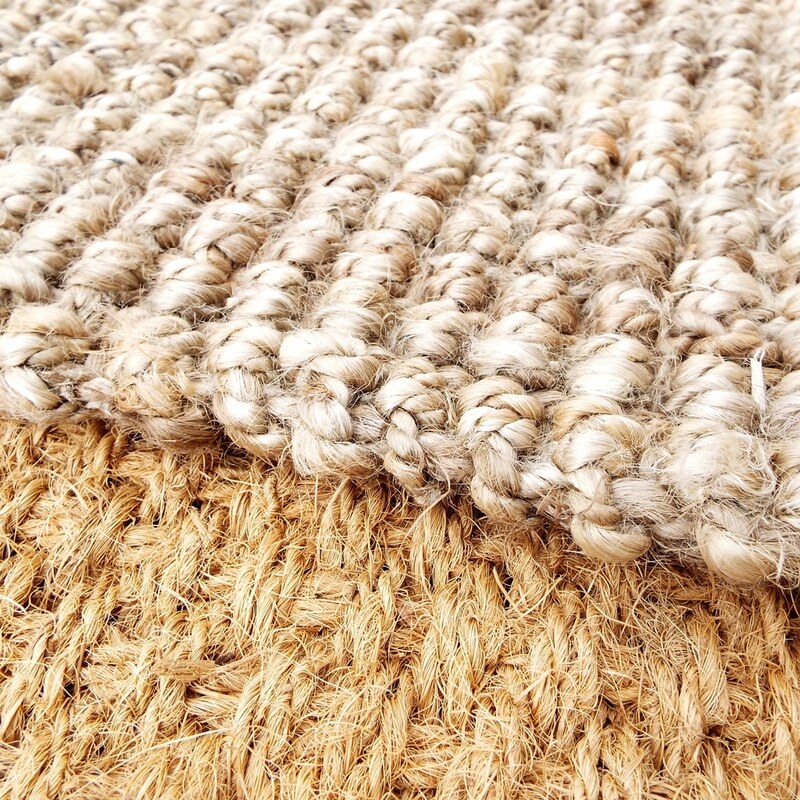 An Incredibly versatile and totally natural product in harmony with our range of eco friendly Coir mats & Half Moons. These rugs are the perfect choice for camping or Glamping. A great addition to your Bell Tent whether you use it for Yoga classes or for boutique camping. 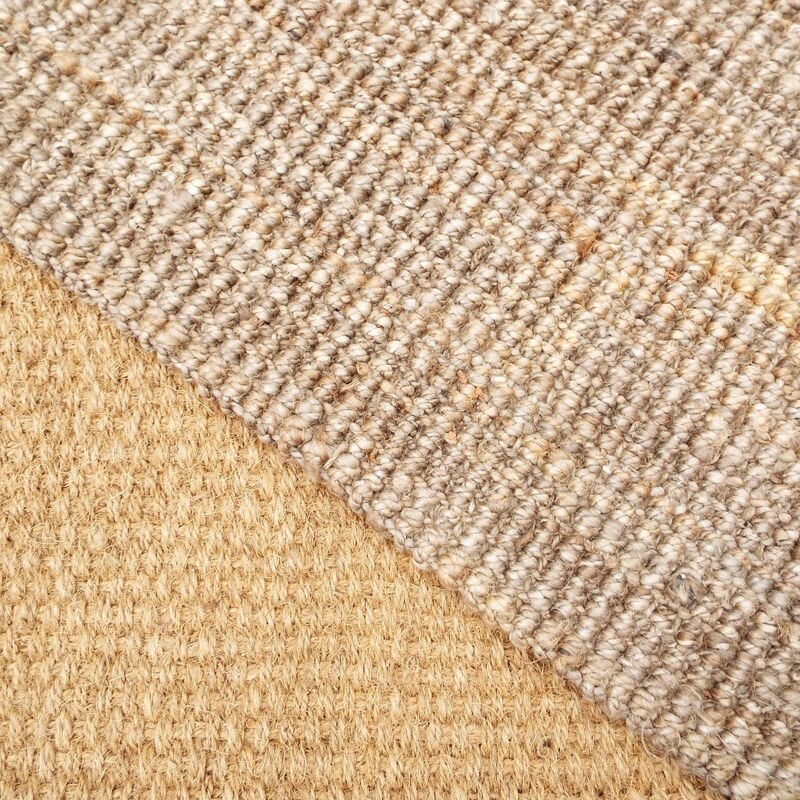 Artfully hand woven from textural strands of jute retaining a myriad of natural hues, this rug has the rich look of bouclé and a smooth feel underfoot. Slightly uneven hand-bound edges enhance its relaxed style. Extremely durable and resilient. Available in 2 different size options gives a whole host of usage options. No bleaches or dyes are used during production, and all colours are natural.